Is Virginia’s New Texting and Driving Law Working? In Virginia, texting behind the wheel is now a primary offense. That means law enforcement officers can stop a vehicle without observing the driver committing any other unlawful conduct, such as speeding or failing to yield. The new texting law took effect on July 1, 2013. In the first three months of enforcement, Virginia state police officers stopped and charged 328 drivers for violations, according to The Washington Post. The fine is $125 dollars for a first offense and $250 dollars for every subsequent violation. Virginia’s tough new law is part of a national effort to curb distracted driving. The Centers for Disease Control and Prevention reports that each day in the United States, more than 9 people are killed and more than 1,060 are injured in crashes reported to involve a distracted driver. In Virginia, an estimated eight out of ten motor vehicle accidents are caused by driver distraction. Texting is particularly dangerous because it causes manual, visual and cognitive distraction. When drivers send or receive text messages, they remove their hands from the wheel, take their eyes off the road and divert their attention to the cell phone conversation. In fact, drivers who send text messages while driving are 23 times more likely to be in a crash. As Newport News auto accident attorneys, we know firsthand how important it is to stop this dangerous activity. We regularly represent victims of motor vehicle accidents caused by distracted driving, such as texting and reading emails while driving. When texting while driving results in injuries, victims can pursue a personal injury lawsuit against the other motorist. Because texting removes the driver’s focus from the road, it can often serve as powerful evidence of negligent or reckless driving. If the distracted driver is to blame for a fatal accident, the family of the victim can also pursue a wrongful death suit. 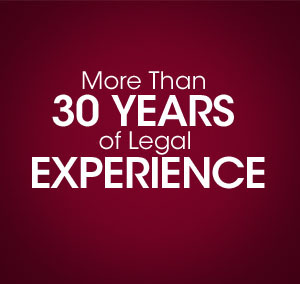 The Law Offices of Timothy H. Hankins has represented accidents victims in the Newport News area for more than 30 years. We invite you to put our proven track record to work for you. To schedule a free initial consultation, please call 757-525-9883.